There are countless urban legends that claim deceased loved ones have made phone calls from beyond the grave. However, there is at least one case where this legend is not legend, but a verified true story. 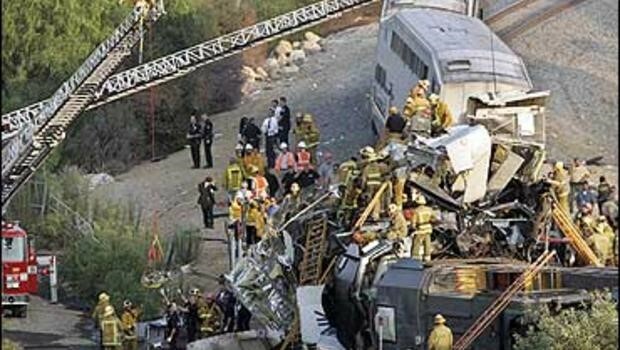 In September of 2008 a commuter train in California’s Fernando Valley collided with a freight train. This collision became famously known as the Chatsworth Crash and the Chatsworth Crash is notorious for more than just the injuries and deaths of numerous individuals, but also for some eerie phone calls a victim’s—Charles Peck— cell phone made hours after dying on impact from the wreck. It took responders 12 hours to locate his body—they ended up using the signals from Peck’s cell phone calls to locate his body. Peck had died on impact but for the first 11 hours after the crash Peck’s cell phone dialed out a total of 35 calls to friends, family, and other loved ones. If they picked up there was only static and if they called back they only received his voicemail. What would you do if you received a phone call from a loved one after they had deceased? Some legends say there was more than static, but heard their loved ones actual voices screaming in agony as what sounded like flames roared behind them in the background.